1) US-Russia space collaboration including the joint Deep Space Gateway space station is potentially in jeopardy, largely as a result of Washington’s Russia-Gate campaign directed against the Kremlin. The article nonetheless acknowledges that the US-Russia space station project was agreed upon in September 2017. 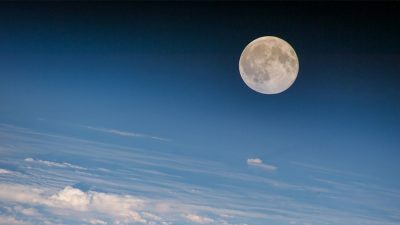 Russia and China have agreed to create a joint data center for lunar and deep space projects, Russian space agency Roscosmos has announced. The projects will involve Russian and Chinese scientific and industrial bodies and companies, Roscosmos said in a statement on Saturday. Roscosmos and the China National Space Administration (CNSA) also signed an agreement of intent on cooperation over moon and deep space research, at the International Space Exploration Forum (ISEF) in Tokyo. The countries will also look into the possibilities of providing assistance for each other’s lunar programs. That would include the launch of the Russian Luna-26 orbiter in 2022, and the Chinese planned landing on the south pole of the moon scheduled for 2023. In 2017, Roscosmos and the CNSA signed a program of bilateral cooperation for 2018-2022, which includes space garbage monitoring and research into the moon, deep space and satellites, among other issues. Featured image is from NASA.